Pat has been a lifelong Virginia Beach resident, he attended Green Run High School and graduated from Old Dominion University. He has almost 30 years’ experience in Public Accounting, including starting his own firm in 1993, which later became Finn Gartman Hart, PLC on January 1, 2002. In addition to his unparalleled expertise as a CPA, Pat has other business interests such as a real estate developer and a franchise restaurant owner. These and many more attributes gives Pat an unique perspective and ability to view financial problems from the perspective of his clients. Helping his clients prepare and plan for business opportunities using this experience is why Pat enjoys what he does. Pat has two children, both who currently attend Old Dominion University. He serves on the board at Park Place School, and is very active in his church. He serves as a youth leader as well as a service trip leader with a heart for Nicaragua. Pat also enjoys playing golf as well as spending time with his loving wife, Claudia. Mike has lived in the Hampton Roads area since he was seven years old, he attended Indian River High School and graduated from The College of William and Mary. With 30 years experience in public accounting, Mike has very broad experience in both financial accounting and income taxes. His particular expertise is nonprofit auditing and accounting, he currently provides these services to a handful of charities that he works closely with on a regular basis. Mike’s extensive knowledge of QuickBooks allows him to provide a variety of accounting services to both small and large scale businesses. 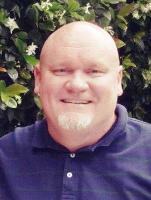 He enjoys helping his clients improve their accounting records and is an apt bookkeeper. Mike is the parent of two young men and a daughter who is in high school. He and his loving wife Paula love backpacking, and spend most spare weekends hiking mountain ranges, enjoying the trek, sights, and cordiality. Bill has been a lifelong Virginia Beach resident, he attended Virginia Beach High School and graduated from Washington and Lee University. In addition he has earned a Master of Business Administration from Old Dominion University. Bill has been practicing as a CPA for over 40 years, with a heavy emphasis on income tax planning and preparation. Prior to joining FGH in 2002, Bill owned his own firm for 10 years. He also holds a Certified Valuation Analyst credential, which makes him especially qualified to value businesses in a variety of situations (buy/sells, divorces, succession planning, etc.). Bill takes joy in helping his corporate and individual clients reduce their tax burden by meeting with them periodically during the year to plan. When not working at Finn Gartman Hart, Bill teaches undergraduate accounting courses at Tidewater Community College. Bill’s two favorite hobbies are tennis and biking, and he often enjoys biking to work.